Beautiful and durable as it is, exposure to nature’s forces and the time factor may cause the concrete to start wearing off by erosion or develop cracks in addition to having weeds and other plants sprout on its surface. This site can be such an eyesore to a place that needs to look appealing to visitors and homeowners alike. However, this problem has a solution in form of concrete resurfacing or concrete replacement. Different in their approach to fixing the problem, both serve the same purpose of rejuvenating your driveway, sidewalk or patio and we will have a glance at both modes. Call, concrete contractors Killeen TX with questions about the process. Concrete resurfacing is a mode of rejuvenation where the old or worn concrete surface is cleaned, cracks and holes are filled and then it is overlaid with a new layer of concrete atop the existing layer. To begin with, the whole surface is cleaned up and the sprouting weeds and plants are removed. It is advisable to use a high-pressure clean up to remove excess dirt grease and deteriorating concrete. Holes and cracks will be filled up with a polymer concrete or mortar that will be smoothed and leveled up evenly in relation to the rest of the surface. This will be followed up by priming the surface ensuring it is not bumpy. The surface will be covered by another thin layer of concrete and smoothed up by a trowel. At this stage, you can also add some decorations such as color or decorative stones and cover the surface for protection against external elements such as stepping on or dirt. After this process is done, ensure your driveway or patio is out of use for like three to four days. During this time period, you should cure the surface by sprinkling water evenly on the surface to strengthen it. 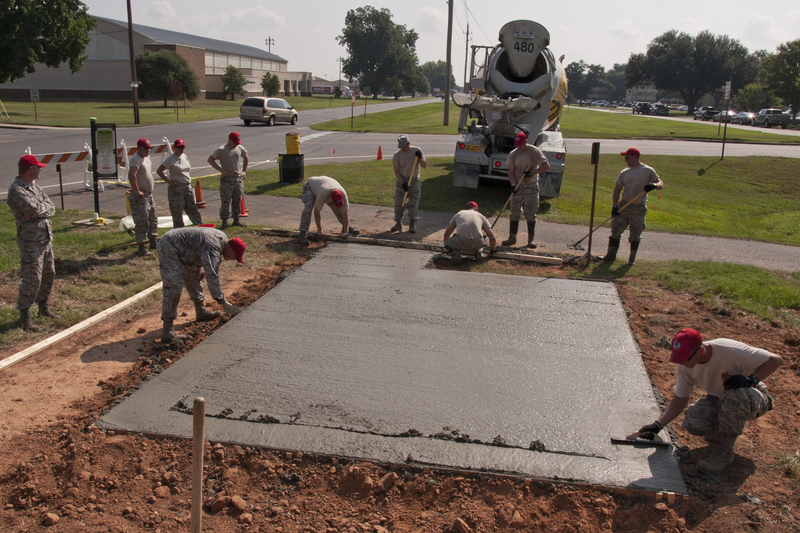 ← How Is Polished Concrete Made?